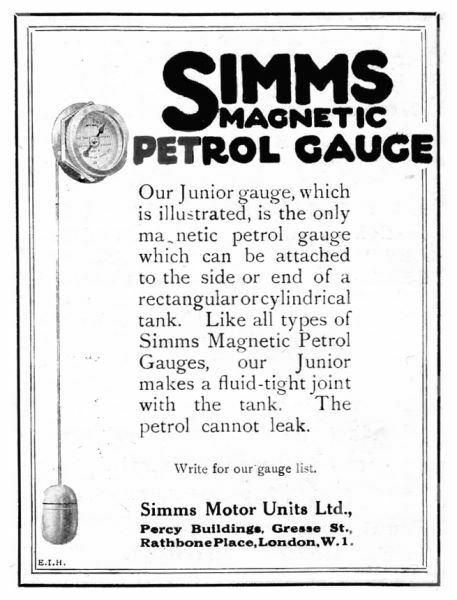 March 1916. 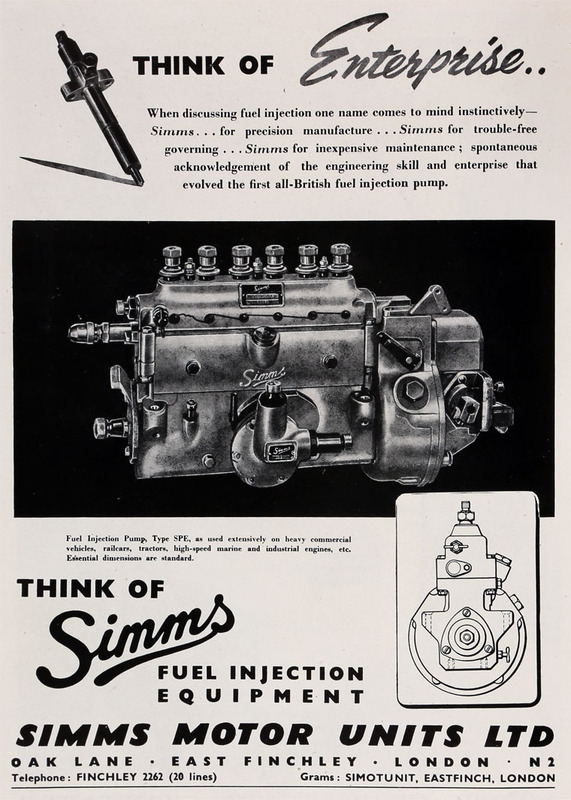 Folding tyre pump. 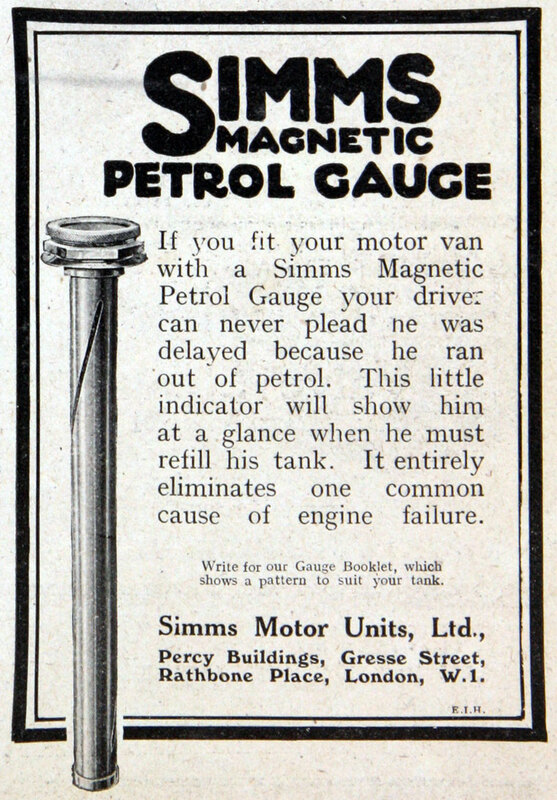 April 1916. 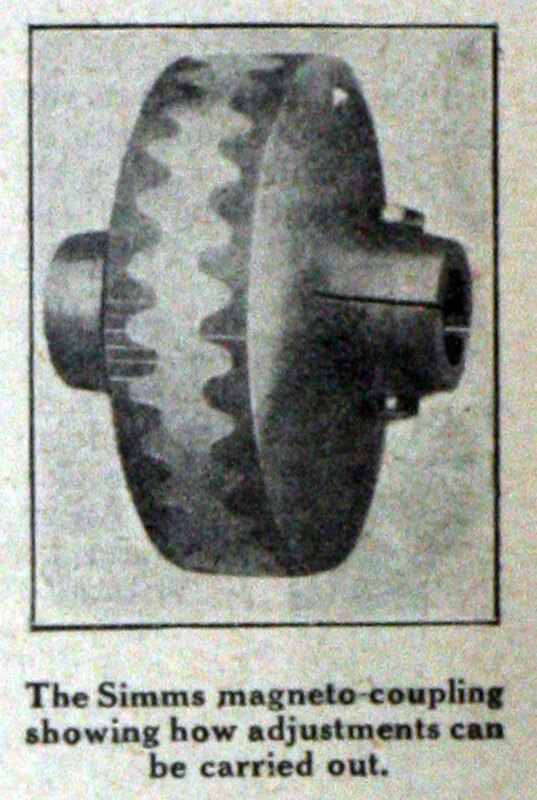 'Lion' hand horn. 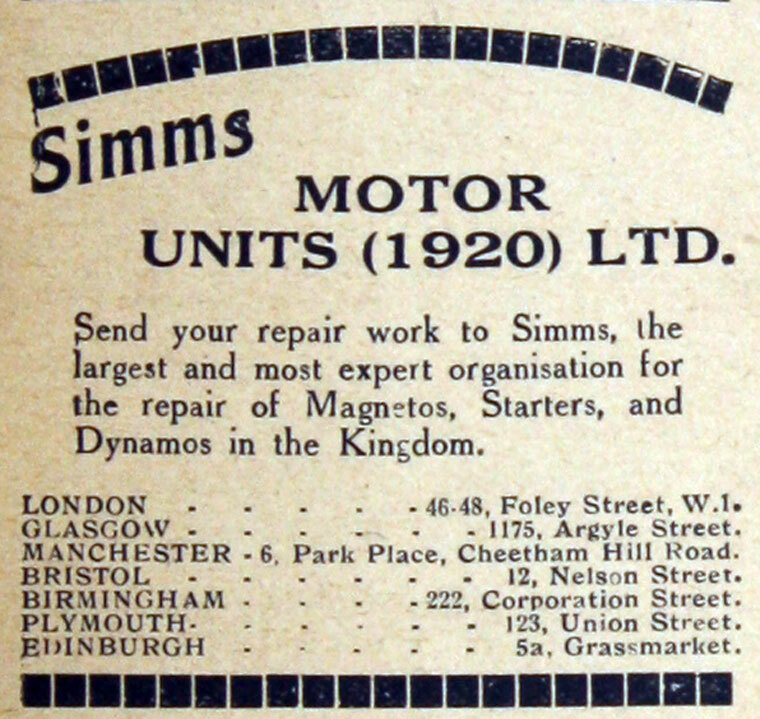 Simms Motor Units of Percy Buildings, Greese St, Rathbone Place, London and of Oak Lane, East Finchley, London N2. 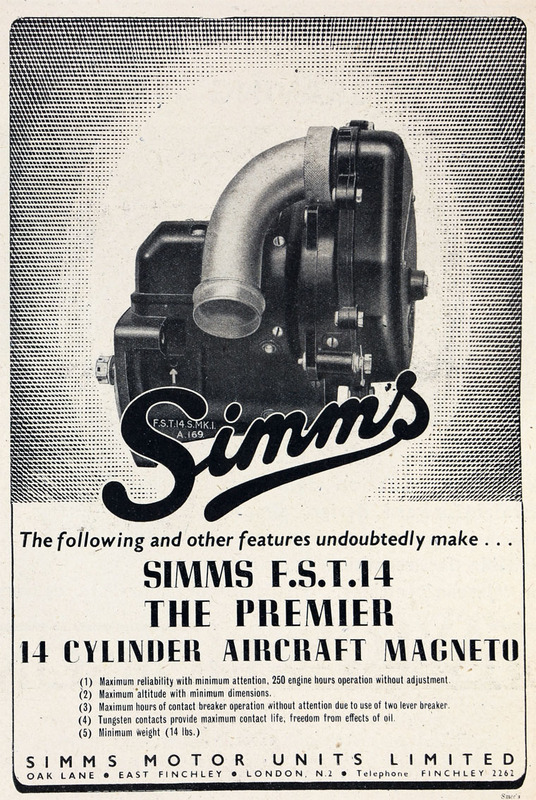 WWI An important source of components for the company was the Simms Magneto Co of New Jersey, established by Simms in 1910. 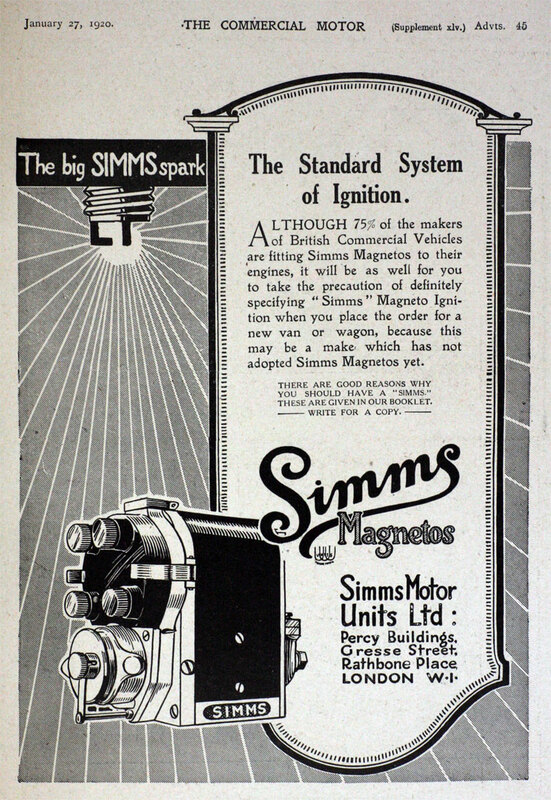 The English workforce grew from twelve in 1913 to more than 300 by early 1919. 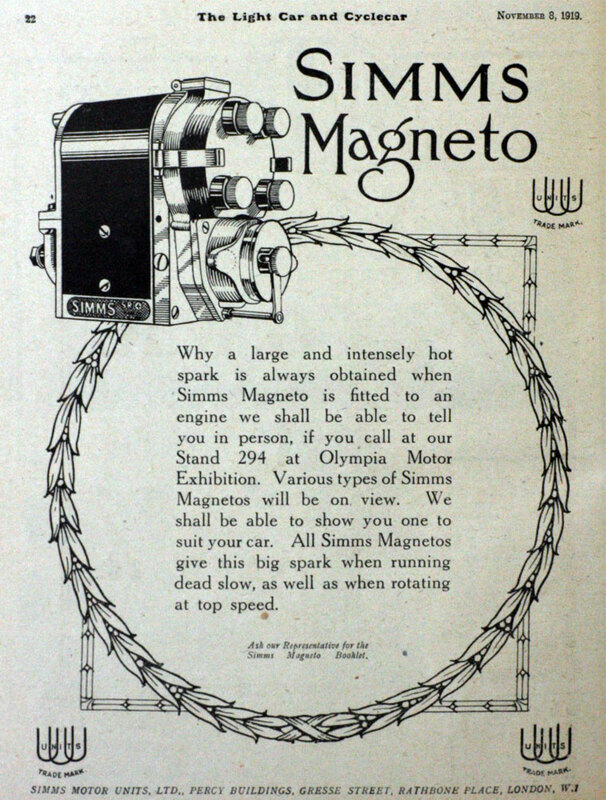 1920 The Kilburn works were virtually destroyed by fire. 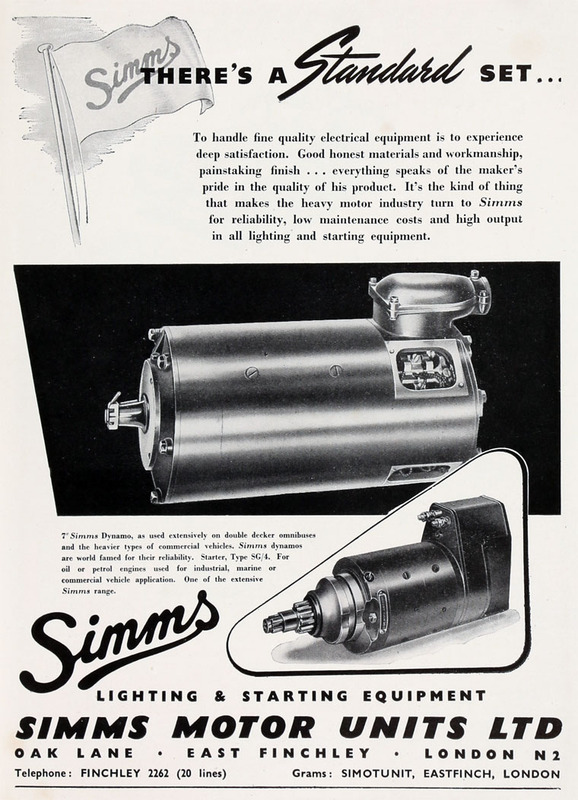 1928 Simms Motor Units acquired the 75 percent of Standard Insulator that it didn't already own. 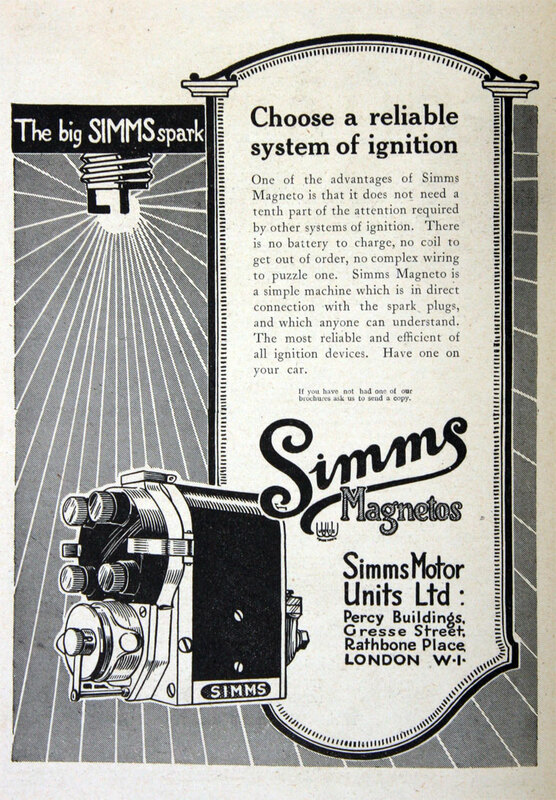 Standard Insulator made vulcanite components for the Simms magnetos; it also sold enamelled wire, wireless components and other electrical items to which it had sole rights in the UK. 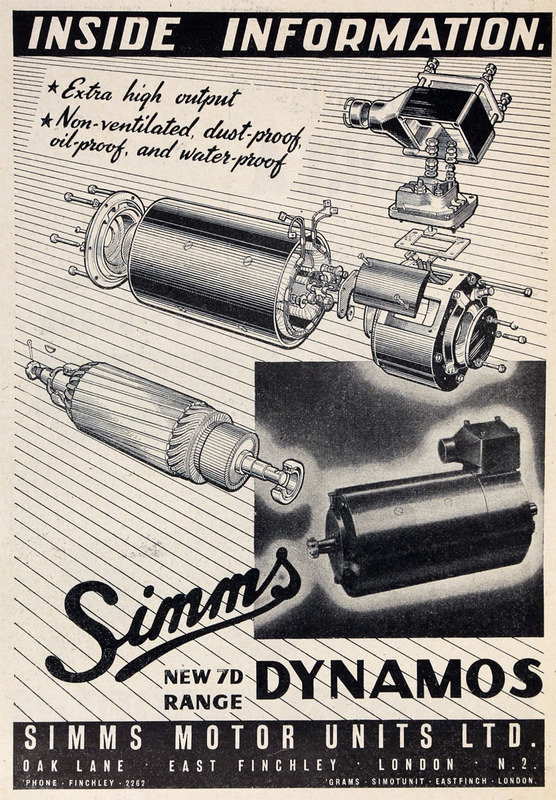 1930 the company began to move in new directions to match changing automotive technology, particularly the change from magnetos to dynamos; this resulted in the company making losses for some years. 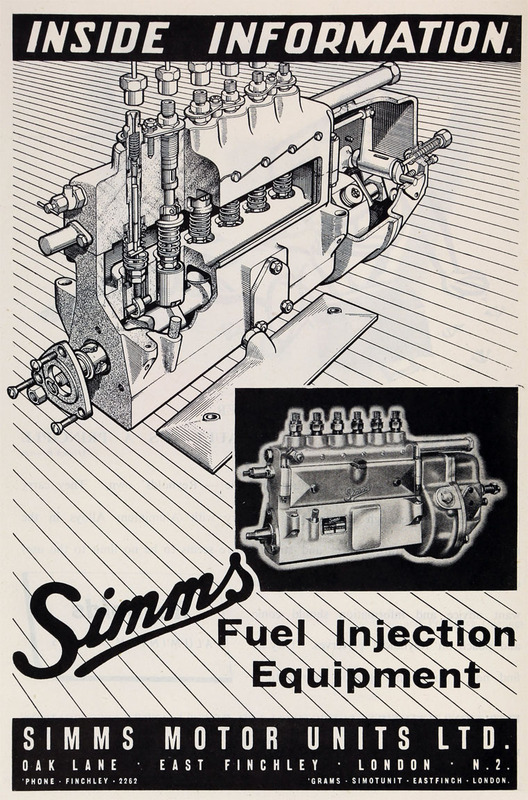 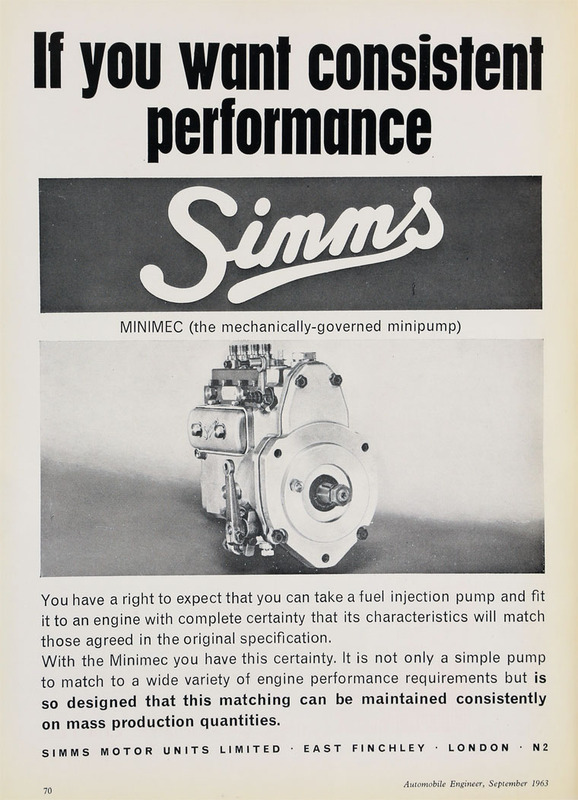 1935 Frederick Simms resigned from Simms Motor Units. 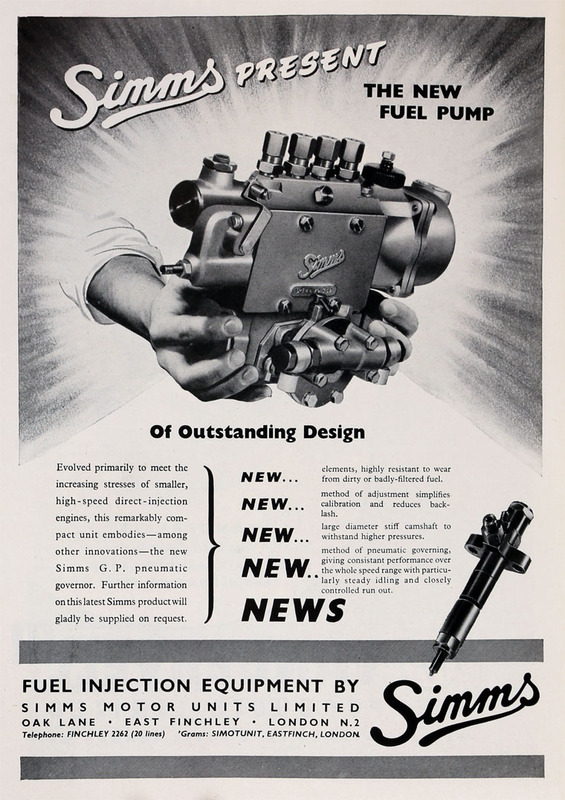 1938 Sales of diesel equipment had begun. 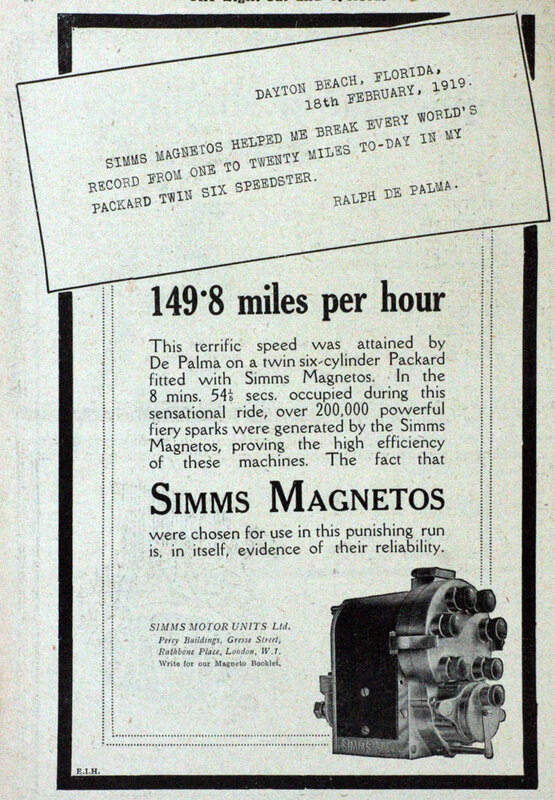 1939 Sales of aircraft magnetos began. 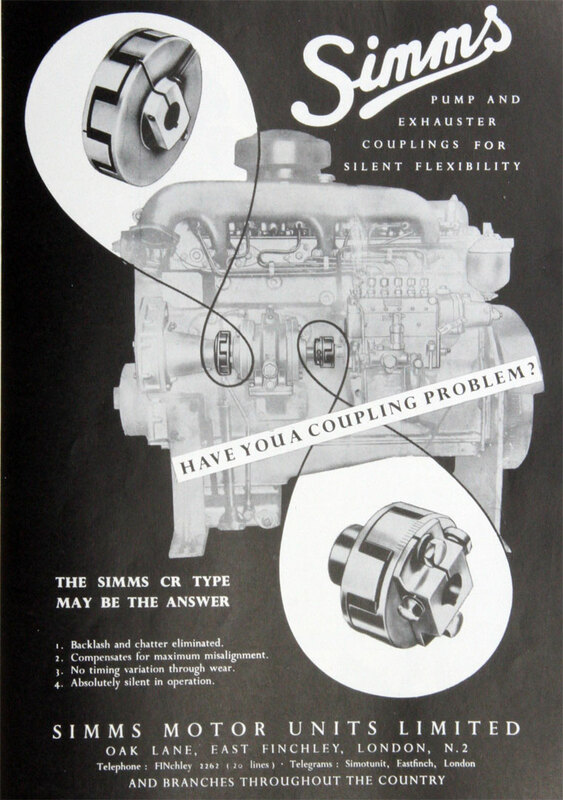 1944 Producing Uniflow injection pumps for diesel engines. 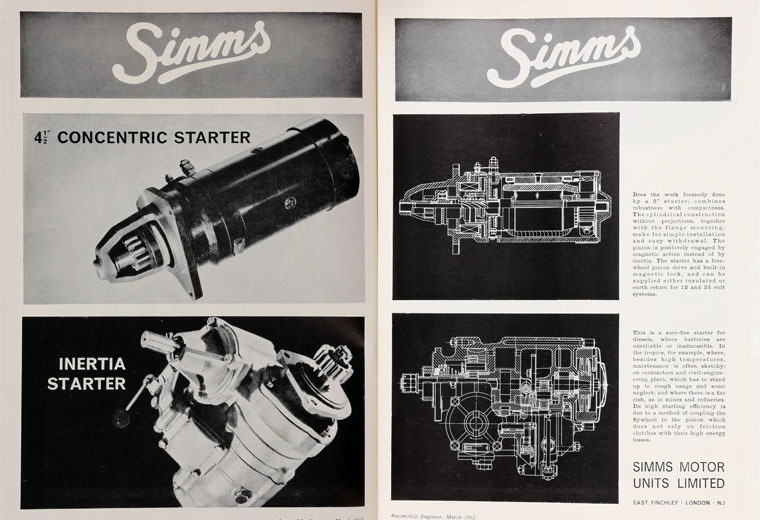 1954 Continued expansion of engineering activities; acquired H.S.M. 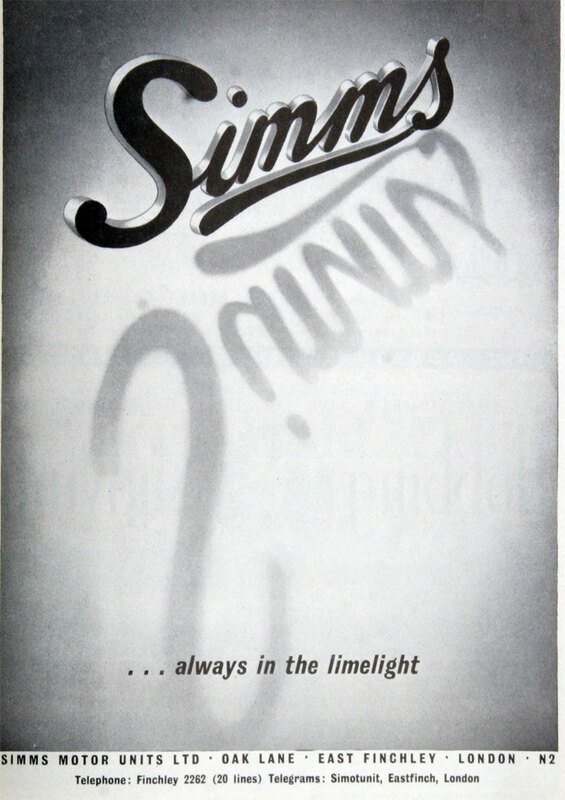 Ltd, a non trading company, which owned Horstman Ltd of Bath. 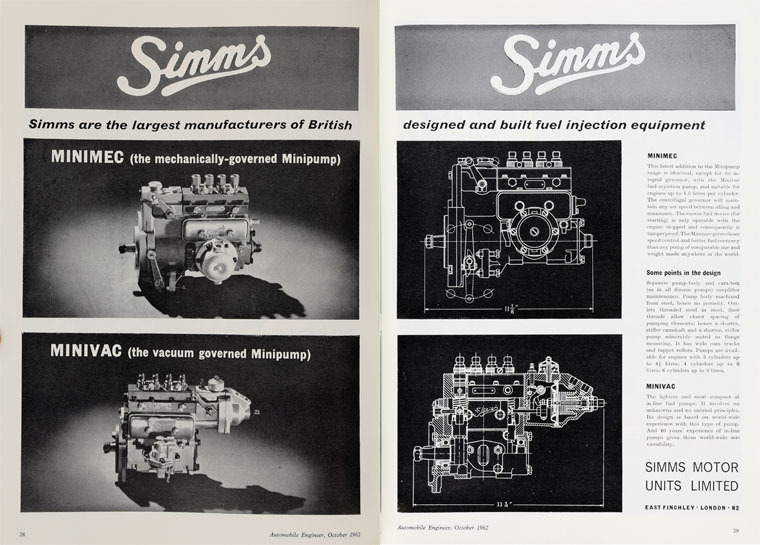 1956 Acquired Mono-Cam of Molesey, developers of fuel injection pumps, from Southern Areas Electric Corporation who had acquired patent rights but decided not to develop the fuel injection pump. 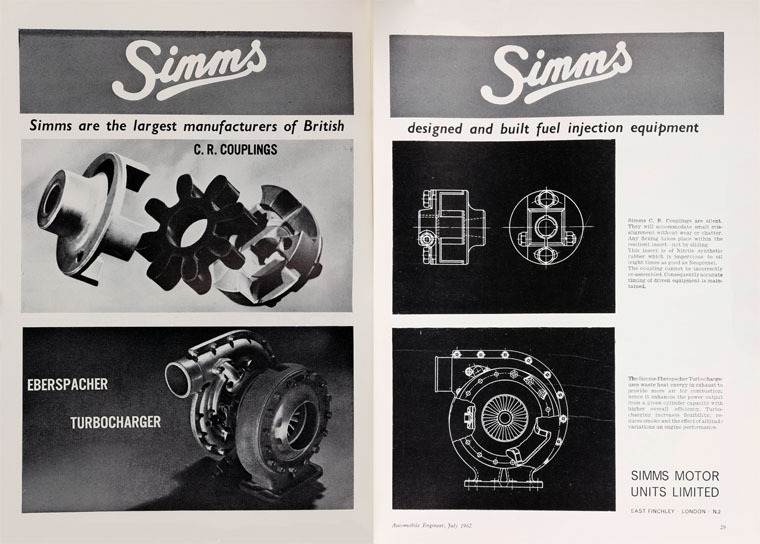 1956 Acquired Hadrill and Horstmann of London, makers of counterpoised adjustable lamps, Clearex Products Ltd, R. F. Landon and Partners which manufactured Kingsway burners and other oil-fired equipment. 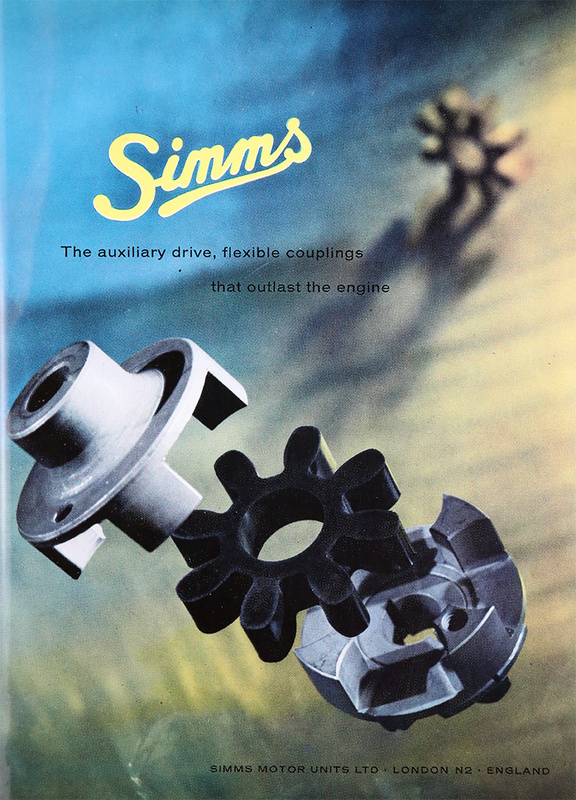 Formed Simplus Products to exploit various domestic products. 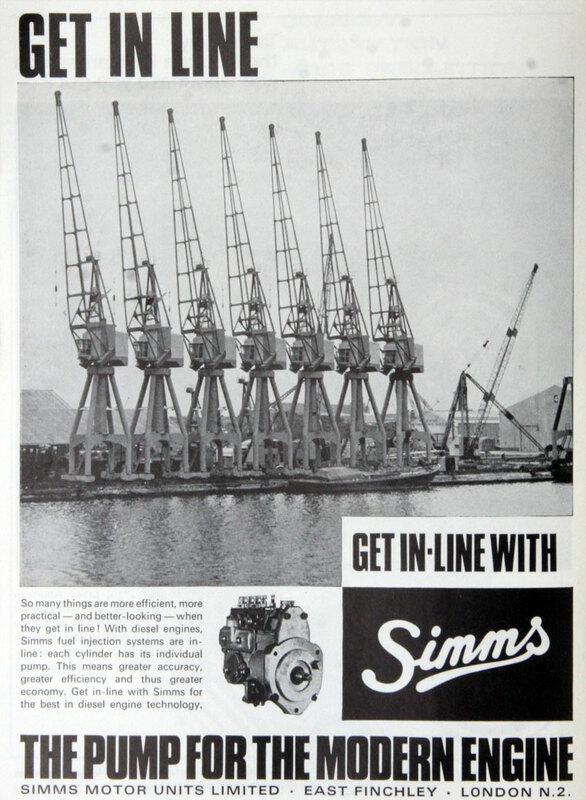 Continuing its planned diversification, the company acquired Industrial Fan and Heater Co of Birmingham.. Acquired one-third of the shares in Aircraft Steel Structures Ltd.
1957 Simms Motor Units took over Motor and Electronics Corporation; the company name was changed to Simms Motor and Electronics Corporation; as a result Simms Motor Units became a private, holding company. 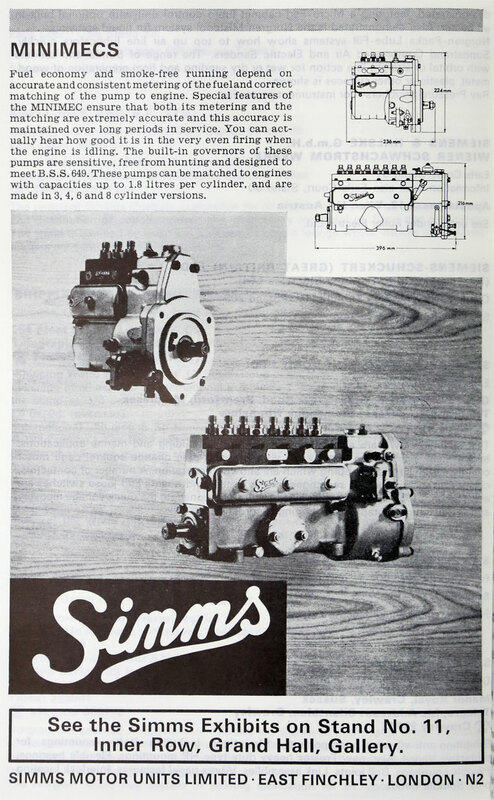 1968 Simms Group, including Simms Motor Units was taken over by Lucas and integrated with the CAV division. 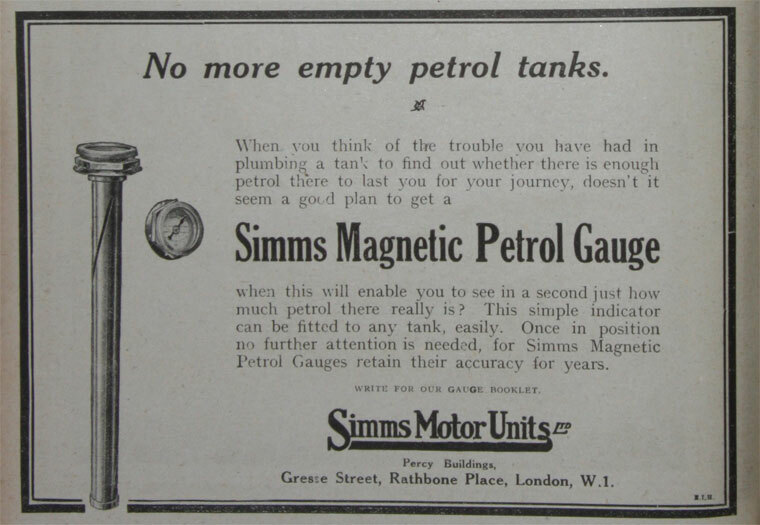 Manufacturing in East Finchley was steadily run down and the factory closed in 1991 to be redeveloped for housing. 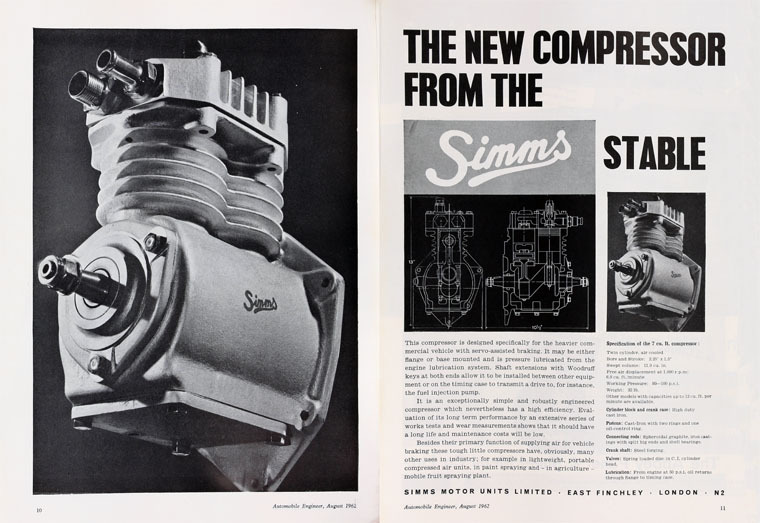 It is commemorated by Simms Gardens and Lucas Gardens. 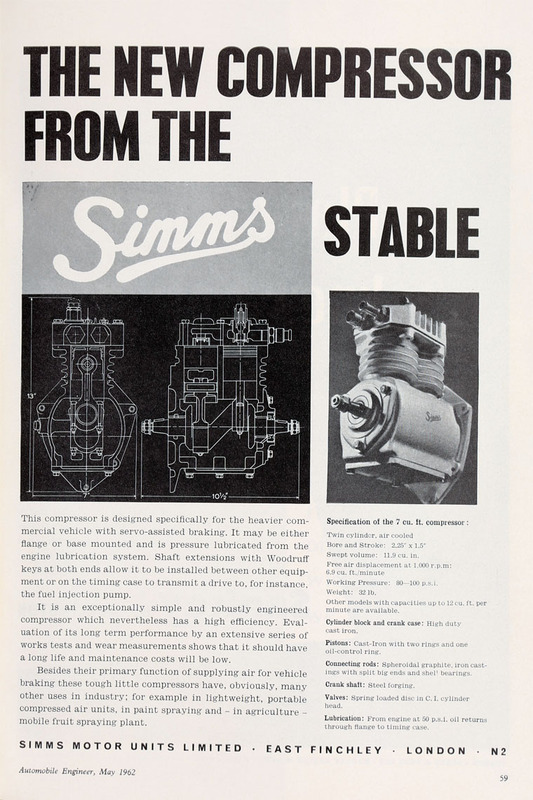 This page was last edited on 5 January 2019, at 19:08.